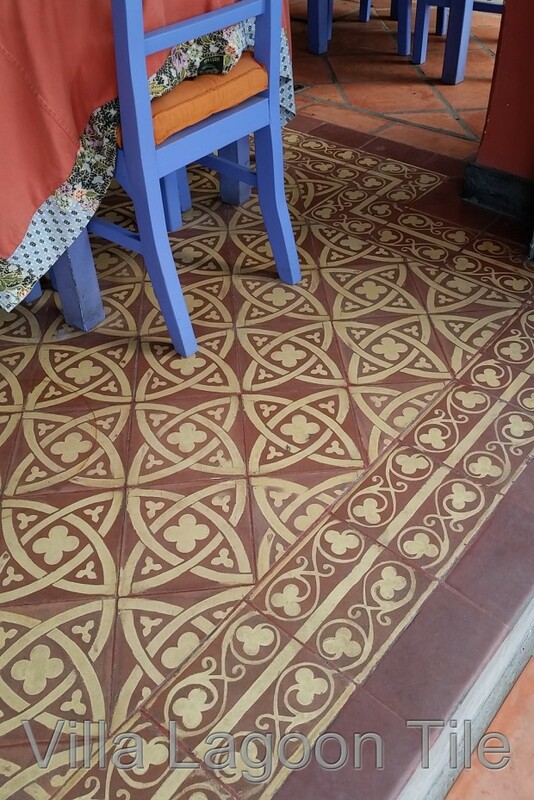 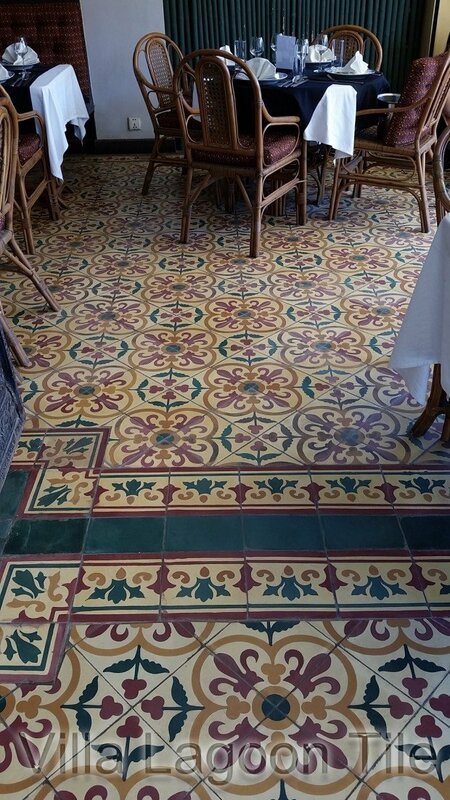 Our correspondent and fellow lover of cement tile, Russell Mikler in Greece, has been sending us great photos of the tiles he has salvaged from old-old abandoned homes. 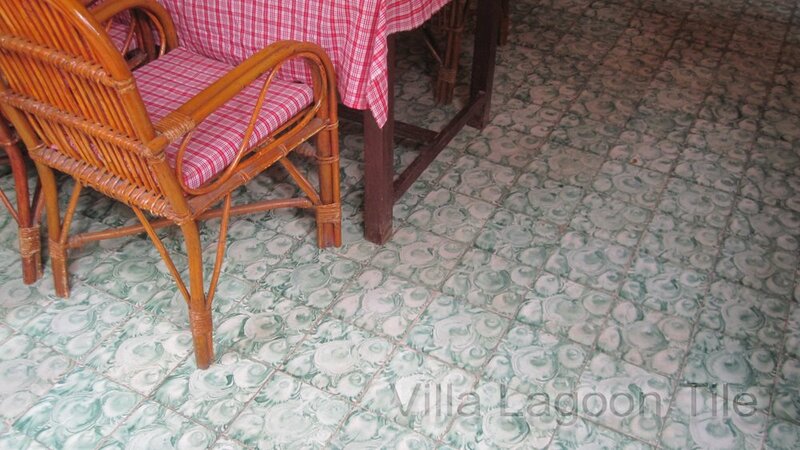 Some of these old homes have been abandoned for over 35 years. 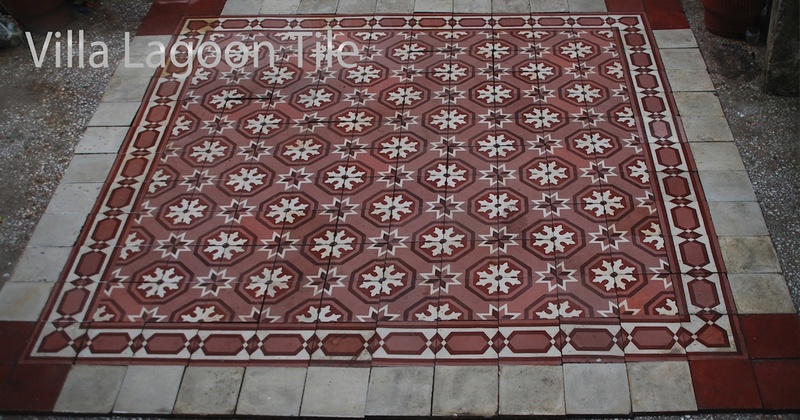 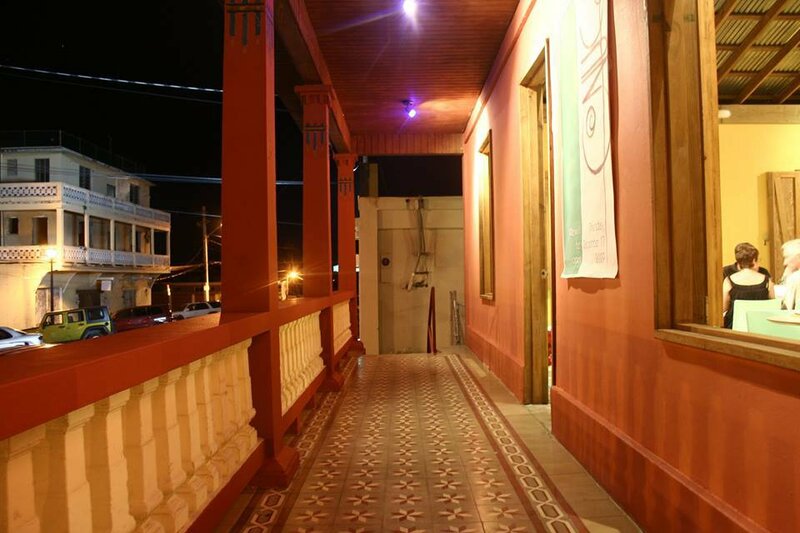 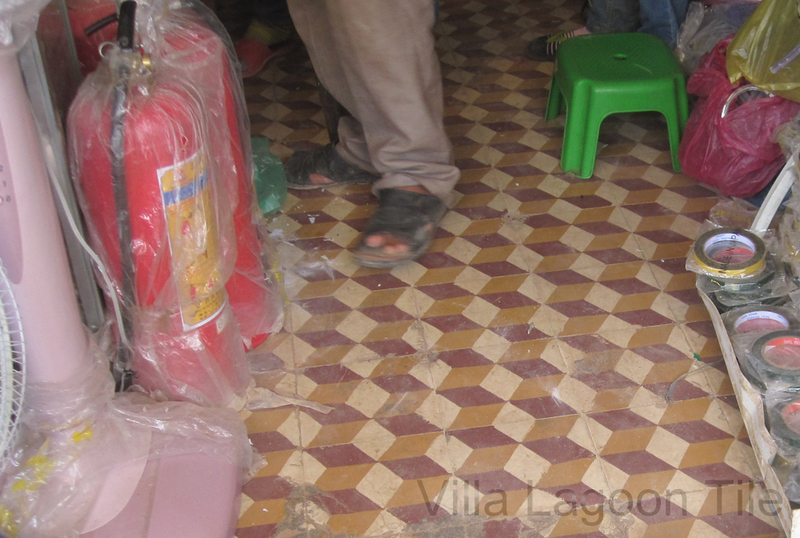 These red and white cement tiles came from a home built in the late 1920’s that had been abandoned with a collapsed roof. 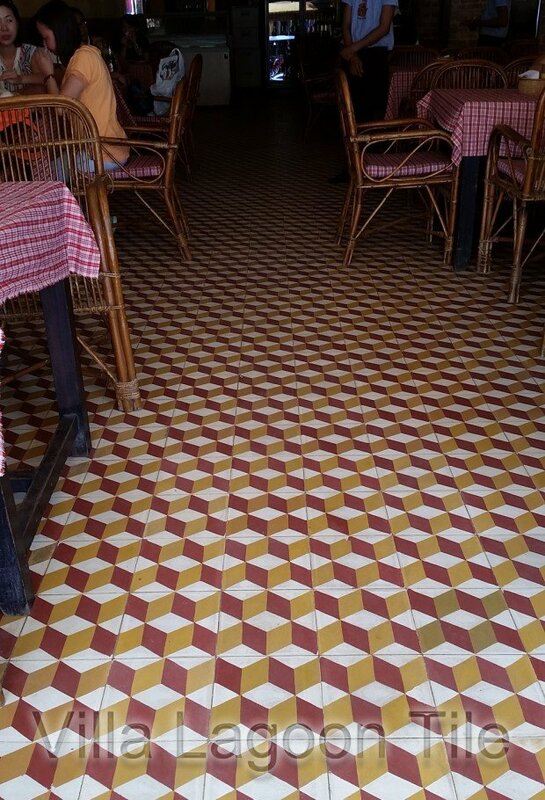 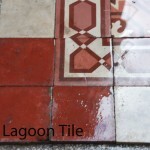 Some of the tiles had even been covered with linoleum in the past. 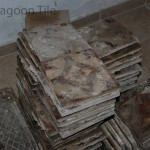 Russell was not able to save all of them due to the roof debris and damage. 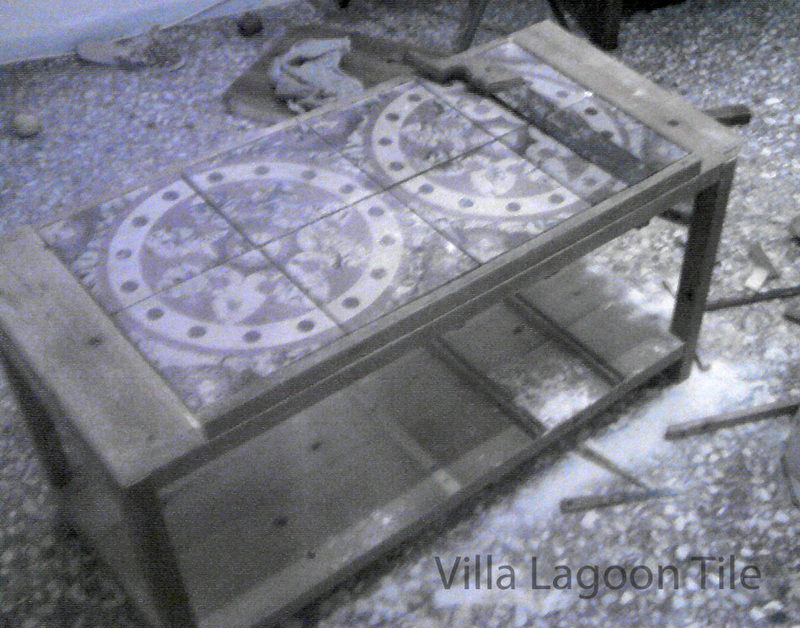 He salvaged all he could quickly, as the house is now scheduled for demolition. 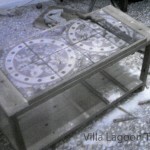 Russell makes table tops with small amounts of reclaimed cement tile. 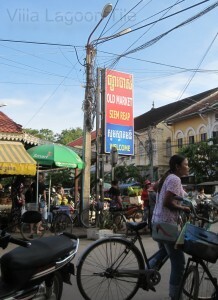 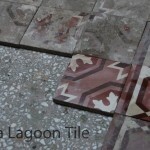 Click these thumbnails to see the full size images. 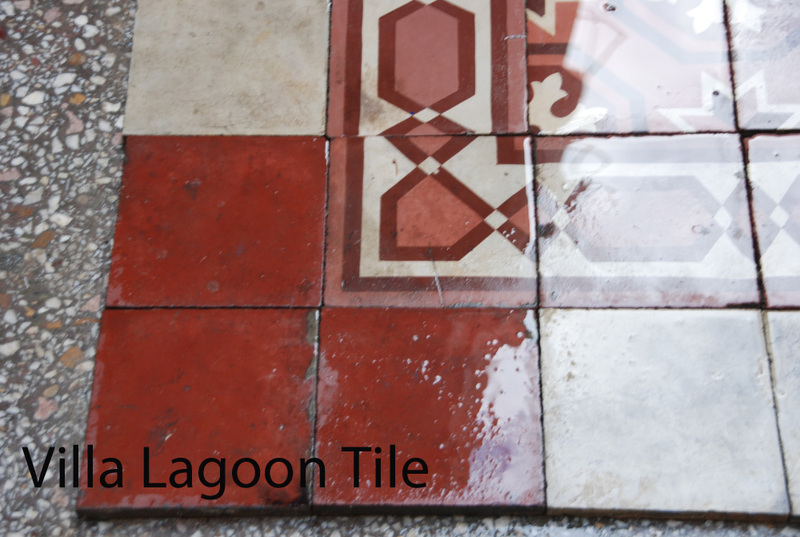 The photos show how the tiles look before and after cleaning decades of grime off of the encaustic cement tiles. 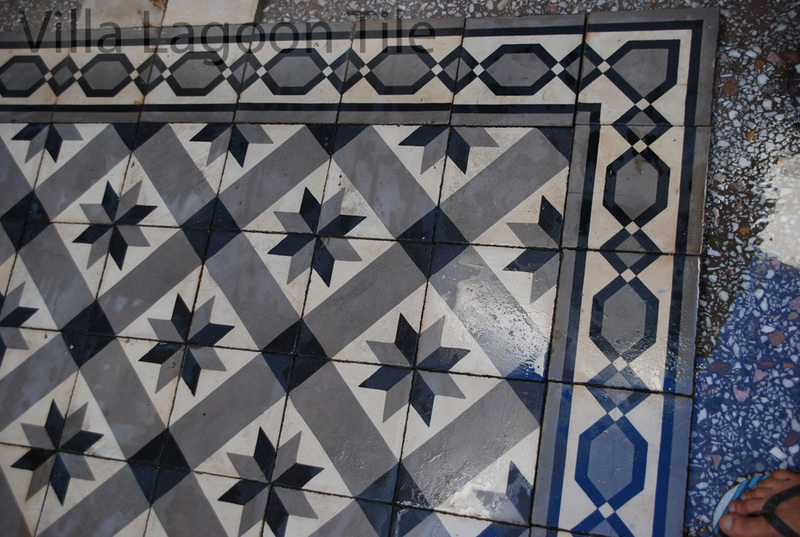 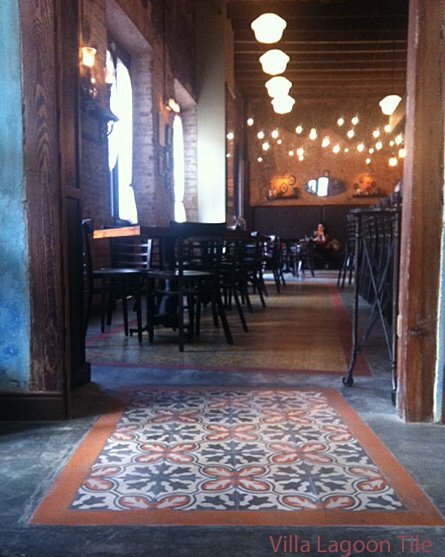 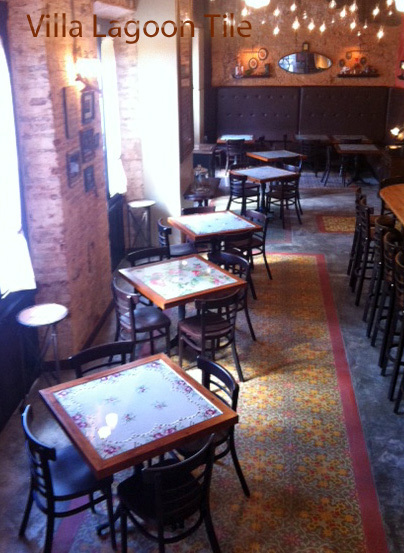 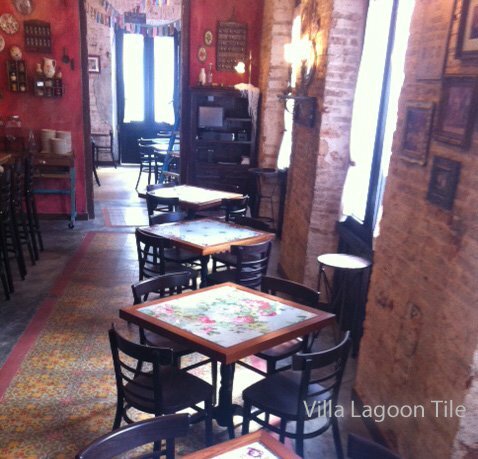 Sure there are a few stains, but really they clean up beautifully… these tiles are almost a century old! 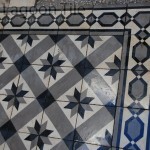 Bravo to Russell for saving these lovely tiles from being discarded with the building rubble. 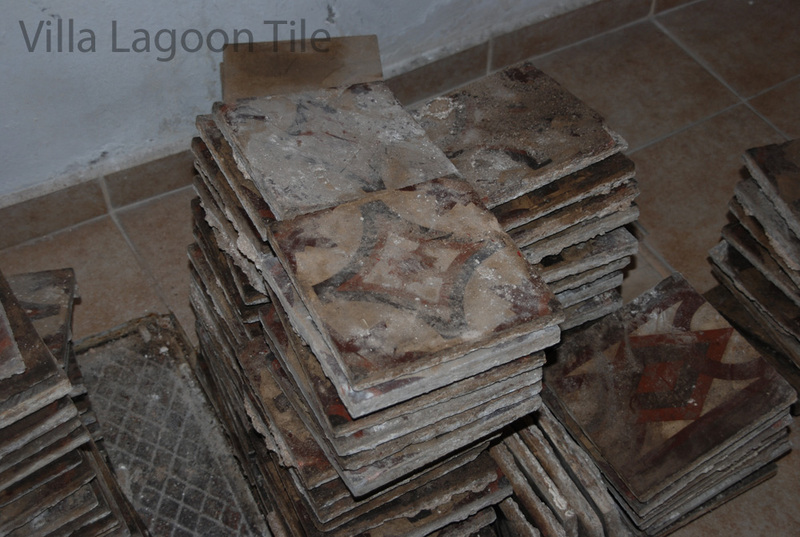 Wouldn’t the original craftsmen of these tiles be proud to know that Russell cares enough to save their tile and that the cement tile will live on long after the original structures are gone. 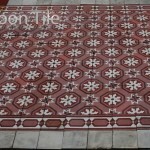 Russell now has a small workshop and makes new tiles in limited quantities. 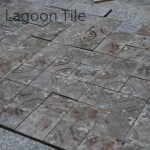 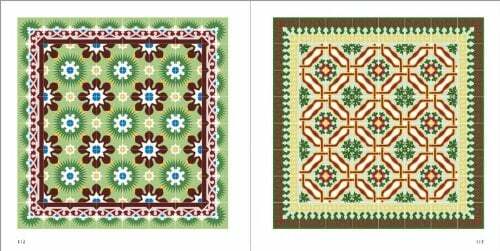 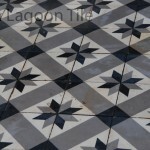 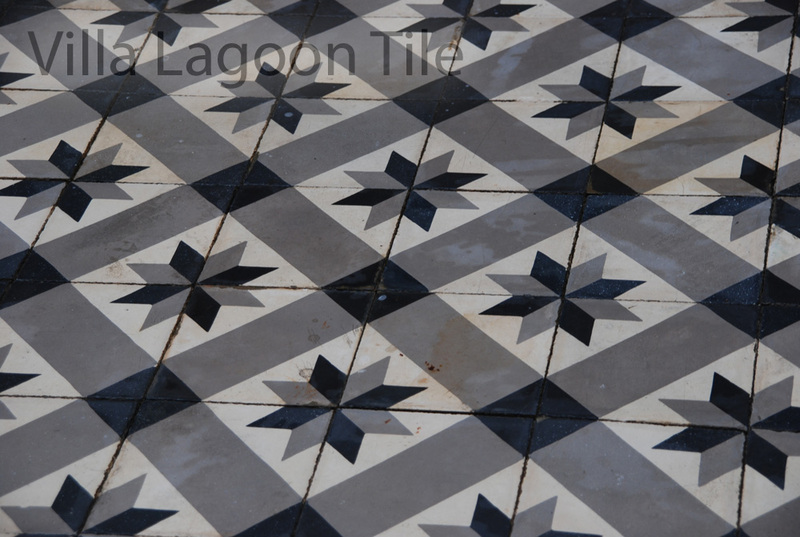 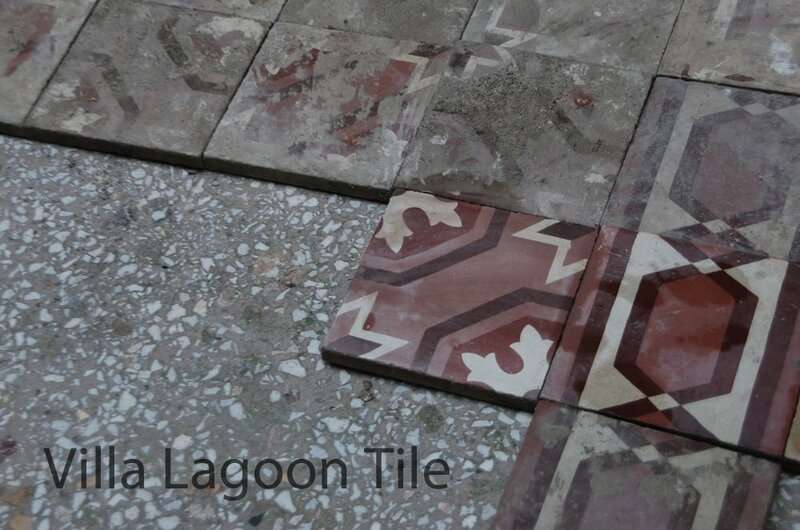 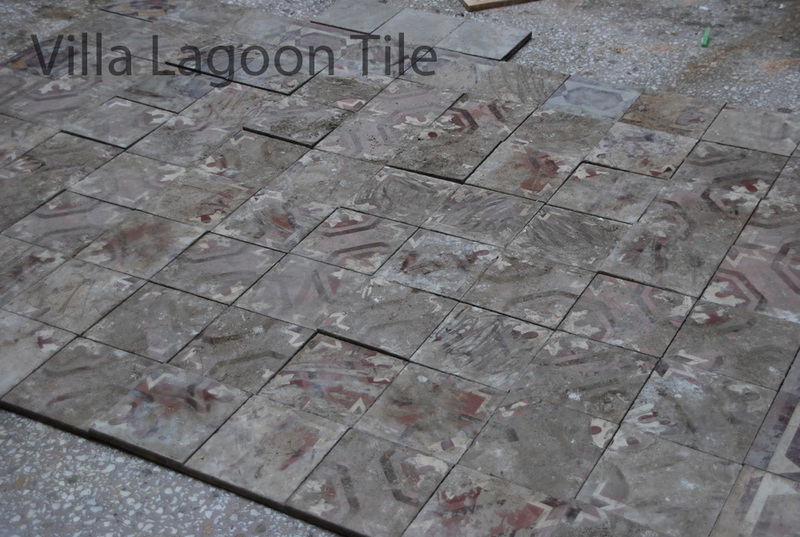 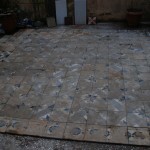 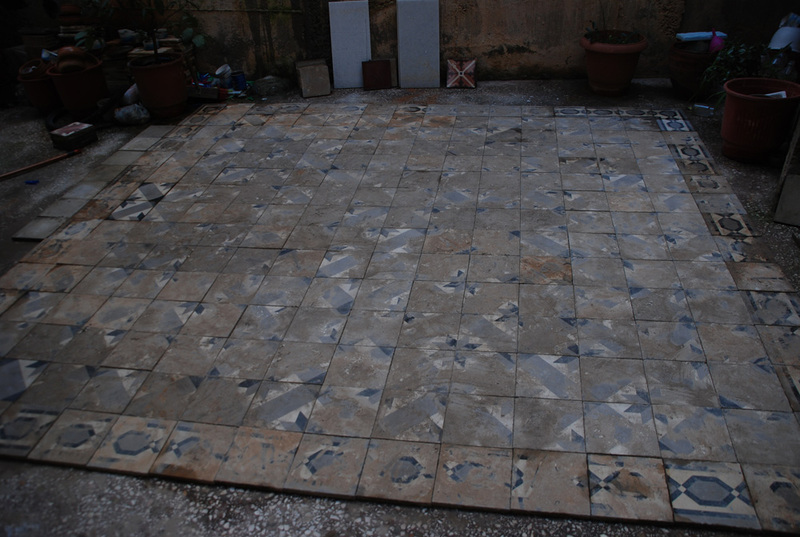 If you live in Greece and are interested in buying reclaimed old cement tiles let us know.